Thanks to the Uber app for iOS and Android, gone are the days of standing outside trying to hail a cab or find a car service. I was recently in San Francisco for work and I met a friend for dinner across town. We were about to leave, and I said to her, “I really hope there are cabs in this area.” She looked at me and said, “You don’t have the Uber app?” I immediately pulled out my iPhone and download the app, within 5 minutes I signed up and had a taxi waiting for me outside the restaurant. Right now Uber can be used in the following cities: Amsterdam, Atlanta, Austin, Baltimore, Berlin, Boston, Chicago, Dallas, Denver, Detroit, Hamptons, London, Los Angles, Melbourne, Milan, Minneapolis-St Paul, Napa, New York, Orange Count, Paris, Philadelphia, Phoenix, Sacramento, San Diego, San Francisco, Seattle, Singapore, Stockholm, Sydney, Toronto, Washington DC. The types of vehicles are listed below; however, not every type of vehicle is available in every city. When you launch the app GPS will locate what city you are in and give you the vehicle options for that area. Taxi: No flagging or yelling required! Use Uber to request and pay for a taxi, at standard taxi rates plus a $1 booking fee. A 20% gratuity is automatically added for the driver. UBERx: The convenience of Uber at a lower price with hybrid and mid-range cars in a variety of colors. Seats up to 4 people. Black: Classic black car option is the default. Choose this and either a high-end sedan or SUV will be curbside in minutes. Note: choosing “Black” and being picked up by an SUV will not charge you the SUV rates. Seats up to 4 people. 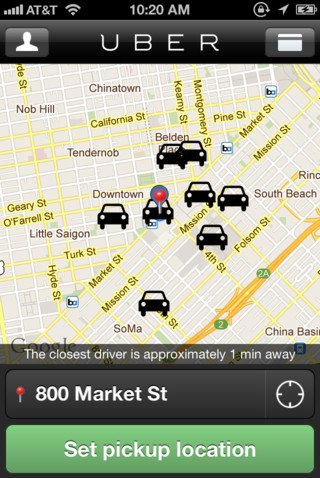 You can use the map and your phone’s GPS to tell Uber your current location so they can pick you up. If the GPS does not find the exact location, you can manually type in the address. Uber will send you a text notifying you of how long you’ll need to wait before you can expect to be picked up, along with the driver’s name. When your Uber ride arrives, you’ll receive another text to let you know. Your card will be automatically charged, with the tip already included. You don’t need to manually hand over some cash or your card to the driver before you leave. It’s that simple. Uber’s pricing is similar to metered taxis, although all hiring and payment is handled exclusively through Uber and not with the driver personally. If the Uber car is traveling at a speed greater than 11 mph, the price is calculated on a distance basis. Otherwise, the price is calculated on a time basis. 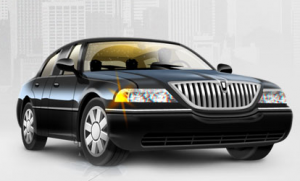 Prices are higher than prices charged by conventional taxicabs and 20% gratuity is automatically added. At the end of a ride, the complete fare (which includes a tip) is automatically billed to the customer’s credit card. Uber has said that its high prices are the premium that the customers pay for a cab service that is not only reliable but also punctual and comfortable. Check out Uber’s website for prices per city. A receipt is sent to your email address (great for those who need to expense the ride) along with a survey to rate your experience. I also received an email for $10 off for every friend I get to sign up using the link they provide in the email. Overall, my experience with Uber was great. The price may seem a little expensive to some people who give it a try, but when you work it out with the tip and realize that you’re paying for more of a high quality and convenient driver experience, it’s actually well worth the cost. 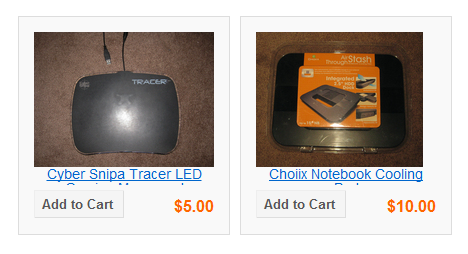 There are numerous ways to sell your miscellaneous junk on the internet nowadays. The most popular methods are arguably eBay and Craigslist. However, some people just want to create their own online store of sorts and list everything they’re selling on one page in a very minimalist way. 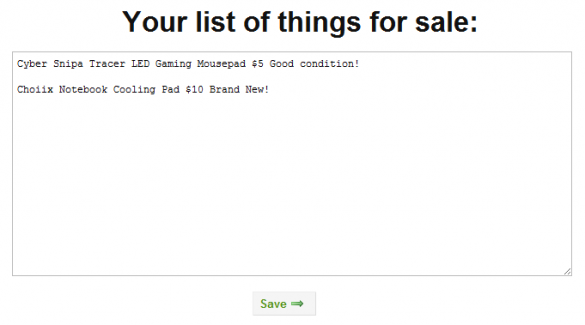 This is where a brand new service called List of Things For Sale comes in extreme handy. After you create an account, you simply type in what you’re selling, the price you’re selling it at, and any details you want to include in the text editor provided. It will then automatically format your items into easy-to-read boxes where you can also add photos. You can even add a sidebar introducing your page to visitors and change the background (although choices are limited here). Customers can easily pay through PayPal or you can arrange for other payment arrangements to be made, such as cash or check. You can also specify whether you’ll ship the items or require local pick up. You can, however, simply just click on the title and it will expand the box to include the full name of the item. If you can get over the fact that you can’t manually adjust the box sizes, then List of Things For Sale really is a super-quick and easy way to throw your stuff up for sale on the internet. There really is no simpler way to create your own online store. Currently, there are two types of accounts you can sign up for. The free account is limited to only five items at one time, but you can upgrade to a $10/month account where that limit is raised to 100 items. “Aero” is the graphical user interface that Microsoft introduced with Windows Vista and Windows 7. It includes many productivity features for managing your windowed desktop environment, but one of the most noticeable features is the glass-like transparency effect that is typically present on the borders of windows. At times, the Desktop Window Manager (DWM) service that runs Aero can crash. This can happen for a variety of reasons, but I’ve most frequently seen it when using applications that are not fully compatible with Windows 7, or when undocking my laptop with a full-screen application open. When the Desktop Window Manager service crashes, you’ll immediately notice that the Aero transparency effects will disappear. You can fix this problem by restarting your computer, but there’s an easy fix to restart the service and re-enable Aero effects. Step 1: Click the Start (Windows) button and type “run” in the search box. Select the “Run” application that appears in the Programs list. 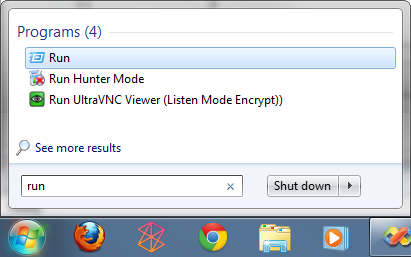 Note: You can also press the Windows Key + R to access the Run dialog. 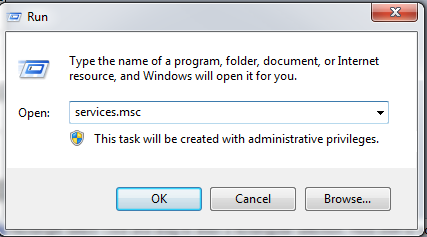 Step 2: Type services.msc and press enter. Step 3: Locate the entry for Desktop Window Manager Session Manager, right click it, and select Restart. That’s it! The Desktop Window Manager service should now have restarted and Aero effects should be re-enabled. You can also restart the Desktop Window Manager via command line, which is useful if you wanted to create a batch script to automatically restart DWM when it crashes. This will have the same effect as restarting the DWM service through the Windows Service Manager application.